My doctor wants to bill 20610 & 27369 on the same but for different sides; 20610-LT, 27369-RT. Need help to find out if he can do it? What was the procedure a steroid injection 20610? Or injection with contrast for an MRI or Exam? If it was for contrast, or both, what procedure was performed making the contrast necessary? Look at how the codes are used according to guidelines and rules. Look at the AMA Guidelines, I just selected one of the AMA Guidelines for an example below as I don’t know what procedure was done – (If any) also look at the Medicare indicators and the MUE’s for each code. There is an NCCI edit that exists with 20610 and 27369. Both codes are used for reporting an injection of the knee and if submitted together only 27369 will be paid. If you bill according to the NCCI edits, you should look further into 27369, Medicare states it is a packaged item and no separate payment will be made. Medicare also indicates bilateral surgery using Modifier 50 does not apply to this code. In addition, look at the Medicare Unlikely Edits (MUE’s) assigned, 27369 has only one MUE assigned, telling us 27369 is used to report one procedure per day, therefore, it would not be appropriate to report 2 UOS. Look at the AMA Guidelines on how to report 27369, the AMA states to report this code with 73580, 73701, 73702, 73722, 73723. Therefore, if this is the correct code it needs to be reported with an exam as it is not payable alone. (other guidelines may apply as well). 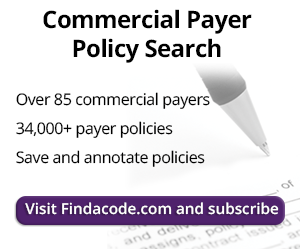 To see how these codes are used when more than one knee is injected look at the Medicare Physician Fee Schedule Indicators (MPFS). Find-a-code displays this information on CPT codes under the (Additional Information) tab, the indicators are a valuable source of information and are often overlooked. 20610 has 2 (Medicare Unlikely edits) MUE’s and payment for Bilateral Surgery applies using modifier 50, this is also an office-based procedure. In the past we were billing 27370-50 when providers do contrast injection kneed arthography on both sides. This codes has been replaced with 27369 effective Jan 1st, 2019 and Medicare don't allow modifier 50 to be billed with this code. How to bill for both knees?